Check out EDC Las Vegas and Shambhala's lineup announcements! Two major festivals have announced their impressive lineups. 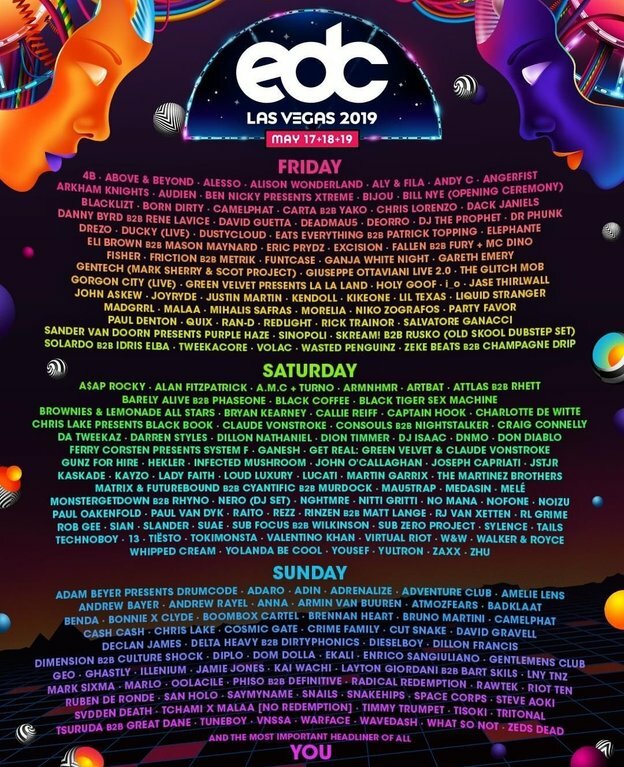 The first is EDC Las Vegas, a festival that has always been well attended by Canadians, have brought out all of the stops as they seem to have invited almost literally every big artist to Las Vegas this summer. The lineup is so immense that you can get mesmerized by just perusing the names on the poster (see above).